News Archives | MPD Digital RF Coaxial Cables | Made in the U.S.A. MPD Digital RF Coaxial Cables | Made in the U.S.A.
What is Happening with Pricing on LMR and RG Type Coax Cable Assemblies? What is Happening with Pricing on Cable Assemblies? If you have been shopping for antenna cables lately you may have noticed that prices on LMR* and RG type coax cable assemblies are up sharply. In fact, the price of a 100 foot Genuine Times Microwave LMR-400 Antenna transmission line from us is up a whopping $38 each! This is no accident. We held the price on coax pricing for a year now while costs have steadily risen. In order to reduce costs we have laid off two employees and cut back hours for all. But the time has come to raise RF cable assembly prices. Manufacturers are increasing prices due to demand and the rise of copper prices. As the economy continues to expand the cost of copper is going up. Without diluting the copper content by adding tin or iron like the Chinese, the cost of manufacturing cable is going up as well. CONNECTOR PRICES ARE UP – With copper prices higher so to is the price of Brass – this means we are paying 15-18% more for quality connectors because we will NOT use the cheap Chinese ones. HIGHER SALES FEES – Amazon presented sellers with new contracts raising commission fees. On our cable assemblies we paid a wrap fee of 9% commission on the sales and shipping cost. The new contract raises this to 19.97% for every item sold on the site. This means for a $100 LMR-400 cable, we now have to charge $110.47 just to get paid the same amount as before. SHIPPING COSTS ARE RISING – For years now, it has been cheaper for a Chinese company to ship a counterfeit LMR240 cable from Shanghai to Atlanta, GA CHEAPER than we can ship a real cable assembly of the same size from Southern GA to Atlanta… This has gotten much worse with postage rates up significantly again this year. 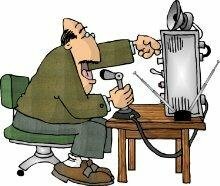 HOW TO AVOID PAYING THE HIGHER PRICES ON ANTENNA AND JUMPER CABLES! 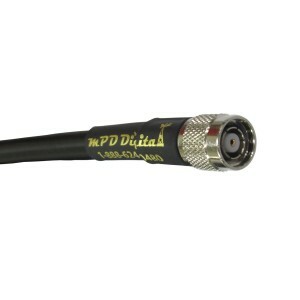 CHANGE VENUES – Check out our MPD Digital E commerce site USACOAX.COM – Not only will you avoid having to pay the extra fees but you can choose from over 20 Types of RF Coaxial Cable and hundreds of connector combinations. YES there is a small shipping cost on each order, but your total cable price will be LOWER. TAKE ADVANTAGE OF OUR SPECIALS – Right now we still have two thousand feet of CU400 for 69 cents per foot and Times Microwave Brand LMR-600 for $1.24 per foot! 100% USA MADE COAXIAL CABLE – Cheap! CONSIDER ALTERNATIVES – Think copper cable is high? Look at Silver RG-214! We have Silver RG-223 at a good price that will work just as well for short runs. Do you NEED LMR-400? Or will another USA Made LMR type cable with a smaller diameter or with the same specifications and warranty work for you? What if you could save 30%??? CALL US – You never know what we might have sitting on the shelf we can offer you a “one time good deal” on 🙂 There are tons of cable types we have just a little of – If we have only a few hundred feet of a cable we don’t spend money listing and marketing it. 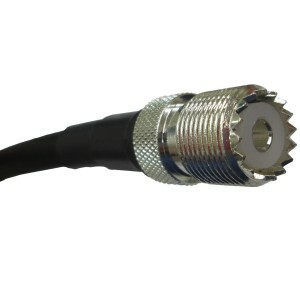 We will discount this coaxial cable to get it Gone! REMEMBER – We don’t sell crap coax! EVERY CABLE TYPE we stock meets stringent quality controls and is made in the USA, Switzerland, Holland, Germany or Taiwan. ALL of them have a 10 year warranty on the coax itself and a 5 year warranty on the cable assembly and connectors. We would be bankrupt if we didn’t sell good Coax. *LMR is a Registered Trademark of Times Microwave Systems. ALL LMR coaxial cable used by MPD Digital is made in the Times Microwave plant in Wallingford, Connecticut. Genuine LMR-600 Coax we purchased Direct From the Times Microwave Systems factory in Wallingford, Connecticut for $1.24 cents per foot! This isn’t some LMR600 knockoff brand or “Salvage” coax but fresh new Times Microwave Systems cable direct from the factory. Long story short, in order to free up some cash we are clearing out up to 5000 feet of LMR-600 at only $1.24 per foot. PLUS – we have had manufactured to OUR specifications both PL-259 and N male connectors for LMR600. 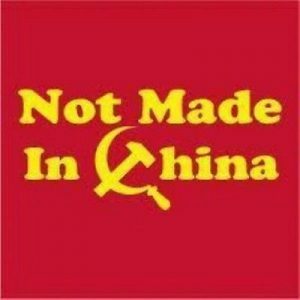 These ARE NOT Cheap Chinese Connectors! We will terminate any length 600 cable with either connector type for $6 each while this special lasts. Yes, LMR 600 is “Stiff”, after all it is thick Ultra Low Loss coax! 600 will give you the lowest loss cable run out there and for 70cm, 33cm, and 23cm, along with ALL the higher frequency Bands will make a world of difference! You can transmit the full legal limit on all Ham Radio Bands and get more of your signal to your antenna. HOW do you handle this stiff cable line? USE PIGTAILS – for commercial applications including AM Radio Stations we build N male to N male LMR-600 transmission lines and on each end add a Pigtail such as N female to PL-259. You get the most signal and great flexibility for your connections. For this limited offer I’m not updating https://USACoax.com with these prices. If you want to order online just let me know (click here) and I will send you an invoice you can pay via Any Credit Card or PayPal. Call our Toll Free line at 888-624-0480 and ask for the LMR-600 Special. We will take any credit card over the phone. 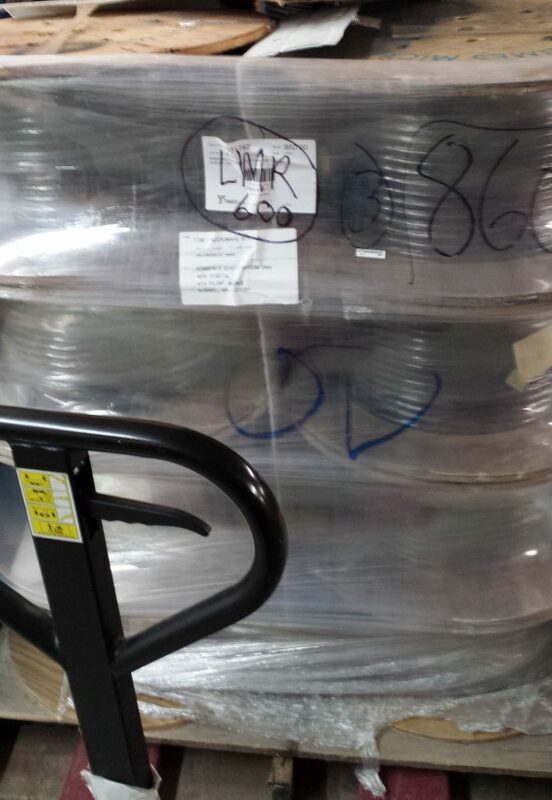 MPD Digital LMR-600 8 pallets of cable! For a short time you can capitalize on a Times Microwave Oops at the factory. Save 30% off the sales price for all types of LMR-400 cables we build. 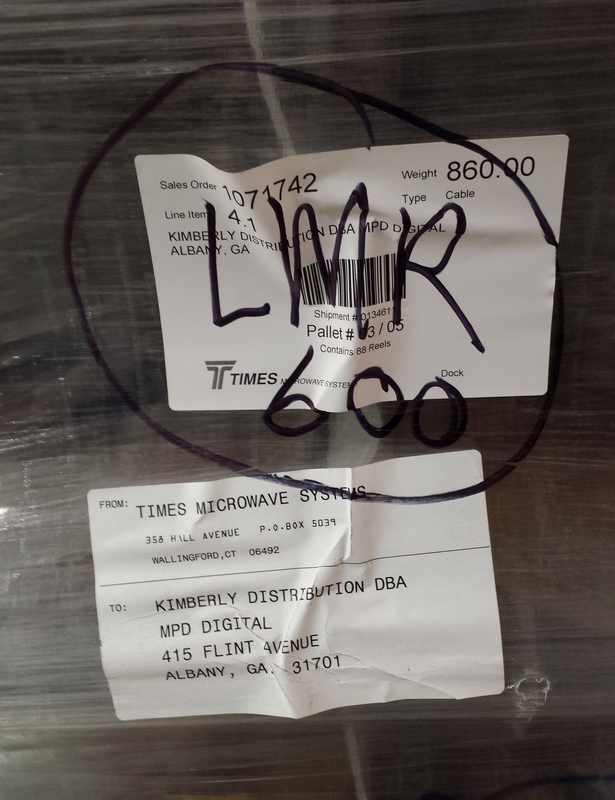 If you missed the “Collectible” LMR we sold a couple of years ago that had all the Times Microwave LMR-400 text printed Mirror Image backwards, now is your chance! It seems maybe the interns are back working at the cable marking and printing station again at Times’ Wallingford Connecticut factory. 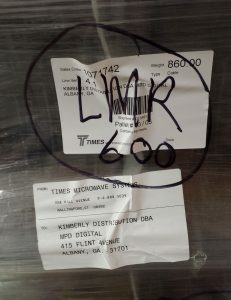 We received a couple of thousand feet of LMR-400 in our last shipment where the Times Microwave LMR-400 printing on the coax jacket is smeared, spotty, or missing over much of the coax on the reel. This is rock solid, top quality, USA Made LMR cable with no Flaws – except you can’t read the white letters on much the jacket. It still carries our warranty, exchange policy and a 5 year repair policy on connectors. There is nothing wrong with the functionality of the cable assemblies! The other thing is what we did to the cable in house. We have an order for 500 50 footers from Amazon prior to Christmas and without examining the cable our techs went to work. Long story short, most of the LMR400 cable is currently in 50 foot coils… There is Only 575 feet (sorry, all mismarked runs over 50 feet are gone – PLENTY of 1st quality LMR-400 and Ultraflex available) of coaxial cable available for building runs longer than 50 feet. You can place orders for any length, but don’t be upset if we contact you and tell you 50 ft or less. We can provide LMR-400 at lengths up to 50 feet with any connector combination you like. 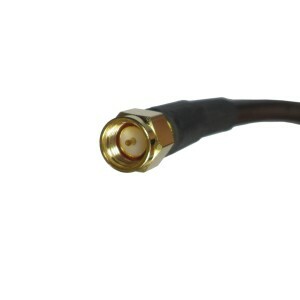 Need BNC to Mini-UHF, FME to TNC, PL-259 to SO-239, No Problem – just select the connectors you need and order your LMR-400 cable using Coupon Code LMR-400-30. Orders will ship within 2 days of receipt. If your Ham Club is having a group function MPD Digital wants to Help! We will provide free Door Prizes and Cable Assemblies of all types to assist with your event. MPD Digital believes that by growing and sustaining Ham Clubs and the Amateur Radio community we will all grow together. Just use our contact us form or shoot us an email at csr@mpddigital.us and we will work out a package of Jumpers, Antenna Lines, Connectors, or other Items that fit your event. Brands we work with are Times Microwave, Coleman, CommScope, Andrew, Antennacraft, Laird, Maxrad and other USA Made products. It’s no Secret we hope you will come back to us with future business and think of us First when you need any products for Amateur Radio or Wireless Internet, but our Sponsorship Program has No Strings Attached. We don’t require any compensation – but a link back to our website here at MPD Digital from your Club website would be greatly appreciated! ARES RACES MARS CFARS RAYNET SKYWARN WICEN and all other EMS Volunteer Organisations! We can provide a total of 5000 feet of cable assemblies at a these prices. We will ship World Wide at cost. Feel Free to share this information. 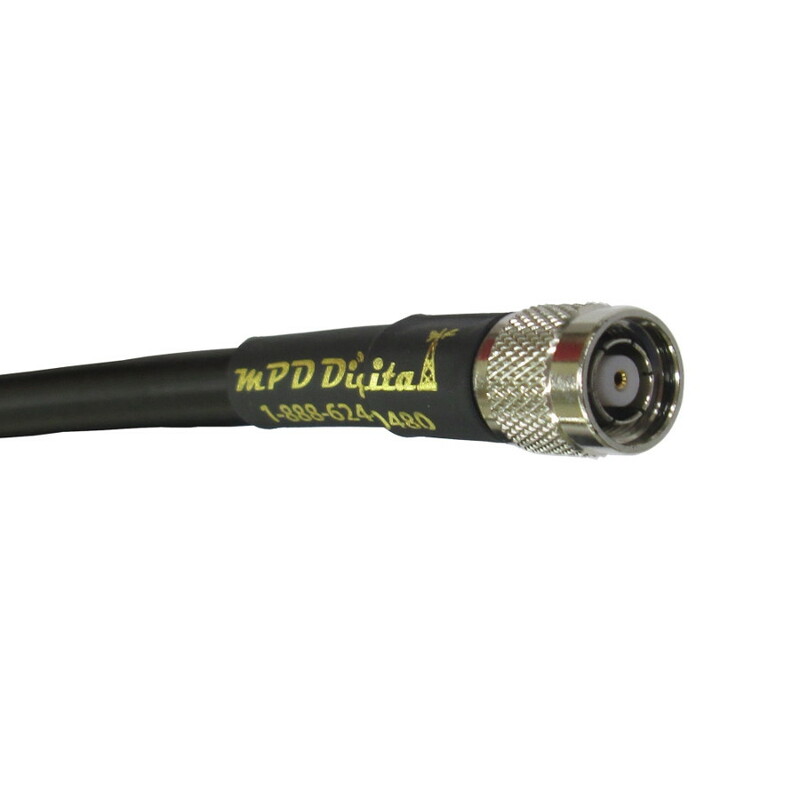 For the rest of November 2014 MPD Digital is pleased to offer Antenna Cables to Amateur Emergency Services organizations at a significant discount. This discount is for official stations offering services through ARES, RACES, MARS, CFARS, RAYNET, SKYWARN etc. as well as Volunteer Fire Stations. Our Goal is to assist these Volunteer Organisations by providing antenna cable to upgrade or update current transmission lines. This discount is for systems directly used to provide services and is not intended for individuals broadcast rigs. MPD Digital has always provided Discounts to Emergency Services Providers. This year we are significantly increasing this discount, we have moved into our new facility and purchased additional production equipment. We are also now purchase cable in 50,000 foot lots direct from Times Microwave. We hope this discount helps volunteers continue to provide valuable service. To order an LMR-400, LMR-195 or RG-213 cable assembly please use the Contact MPD Digital form and let us know what cable you need. We can work with you to ensure you receive what you need and either send a payable invoice or provide other payment instructions.